Telegram sign up and login. Create new Telegram account now. What makes Telegram different from other instant messaging services? Telegram is a free cloud-based instant messaging app which is available on both mobile(Android, iOS, Ubuntu touch, Windows) and computer devices(MacOS, Windows, Linux). Telegram sign up provides services like simple text messaging to fully fledged instant messaging service with file and media sharing, and voice call feature. Services can share other popular messaging services and media of any size without altering its quality. 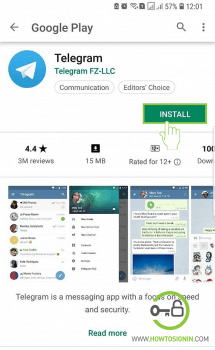 Telegram messenger has started to take over other popular messaging services like WhatsApp, Facebook Messenger, Line and any many more. Telegram messenger is simple to use, fast, and secure. You can create new Telegram messenger account for free instantly. 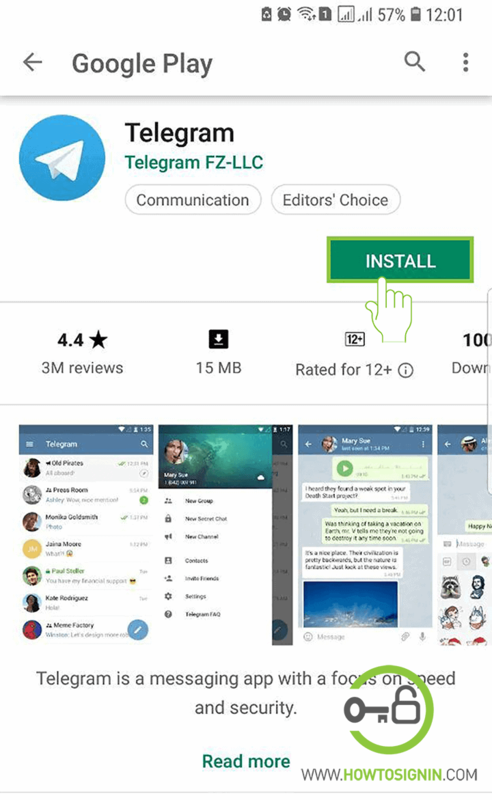 Telegram’s main selling point is security. It claims all its activities – including chats, groups, and media – are encrypted, meaning even if they are intercepted, they won’t be readable without being deciphered first. However, some security experts have cast doubt on how secure Telegram is. Another main point is it’s free. Yes, it’s free to download and use. It doesn’t have ads and subscription fee. Though the company claims its security to be strong and unbreakable, many experts have doubted its security. Still no video chatting features. When you need to send multiple files or media, you cannot select all files at once, and you need to pick them manually. 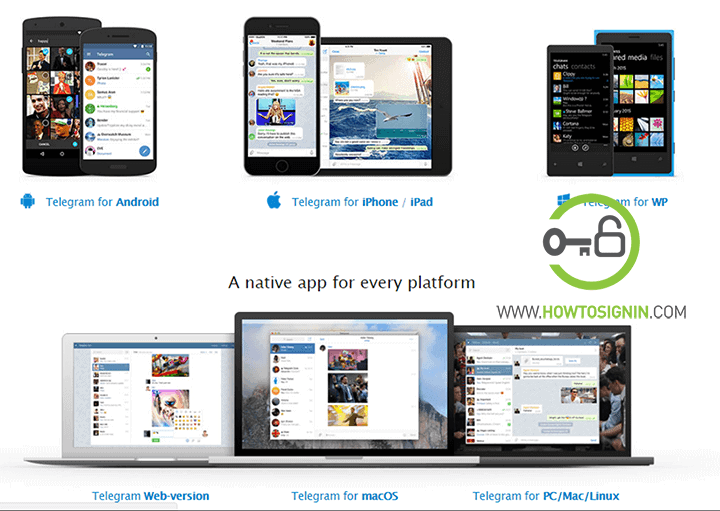 You can download Telegram app for Android, iOS, WP, Windows PC, Linux, and macOS. Go to the Google Play store from your phone. Search ‘Telegram’ on Google Play search bar. Download the app from Telegram LLC. If you are browsing from Android phone now, download from Play Store directly. Open App Store from iPhone or iPad. Tap on search icon and type ‘Telegram’ on the search box. Select Get and the app starts to download. Select your OS either it is Windows, macOS, Linux 64 bit or 32 bit. You can also choose the portable version for Windows or Mac App store version. Once you choose your operating system, the Telegram app starts to download. You can sign up for new Telegram account from iOS/Android app or desktop app. You can access your existing account in its web version, but you cannot create a new account using that. 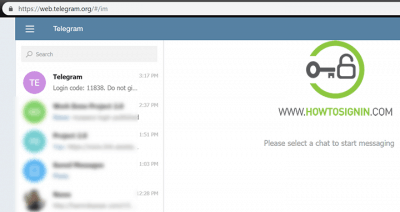 Open the Telegram app from your Android, iPhone/iPad or Desktop. Enter your mobile number and hit Next. 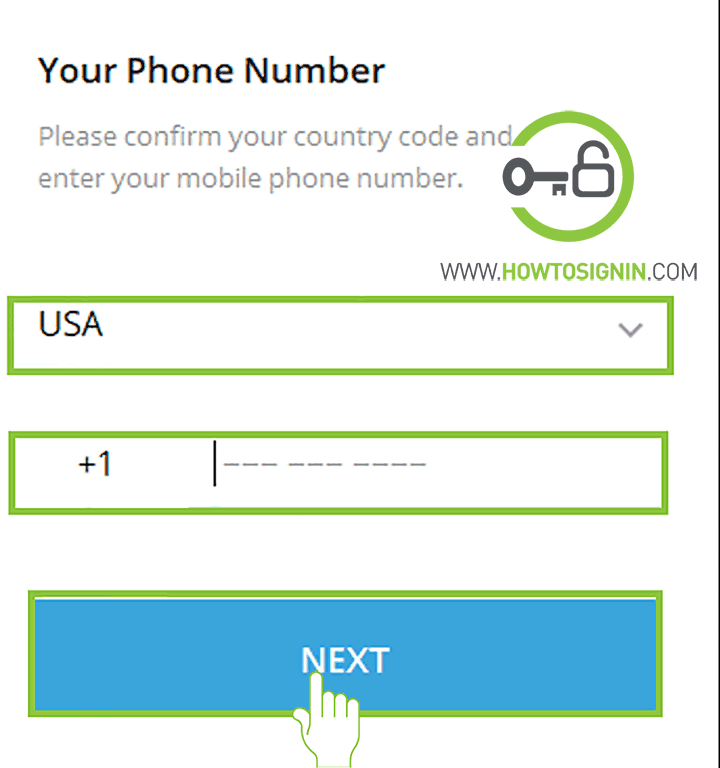 If you see the wrong country code, select the correct one from the drop-down menu. You’ll get an activation code on your phone. If the code doesn’t arrive, you’ll get a call from Telegram. Enter the code and click Next. The registration process is the same for Android, iPhone and Desktop apps. Sign-in process is similar to Telegram sign up. You can log in to Telegram from mobile phones, desktops, and web-browsers. 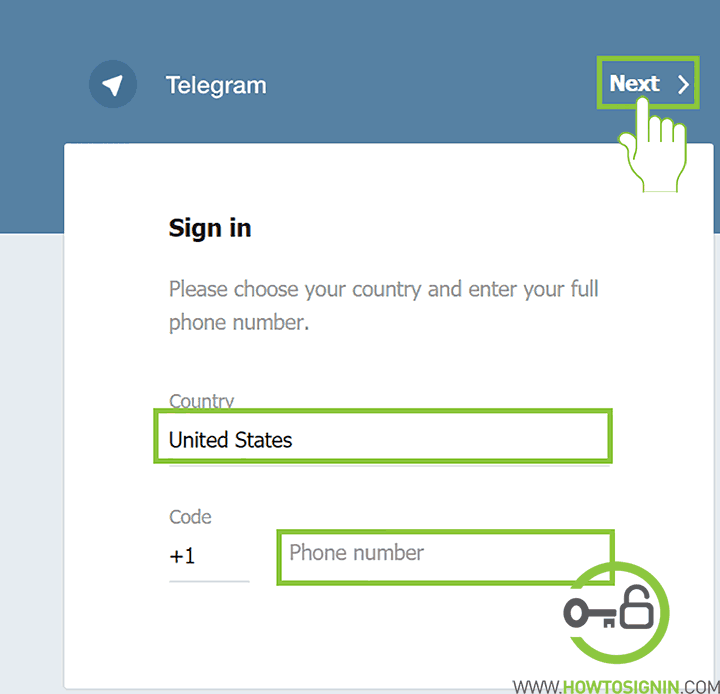 To login with Telegram account, you must have access to your phone number. But if you are logged in to telegram account on another device, then you will receive the code on that device. Telegram messenger app is available for almost all the mobile platform such as Android, iOS, Windows devices. To access your Telegram account using your mobile devices then get started by downloading Telegram app from the respective store; Google Play Store for Android, Appstore for iOS and Windows store for Windows phone. Open the app on your mobile device. Enter the mobile number that you used for Telegram registration. 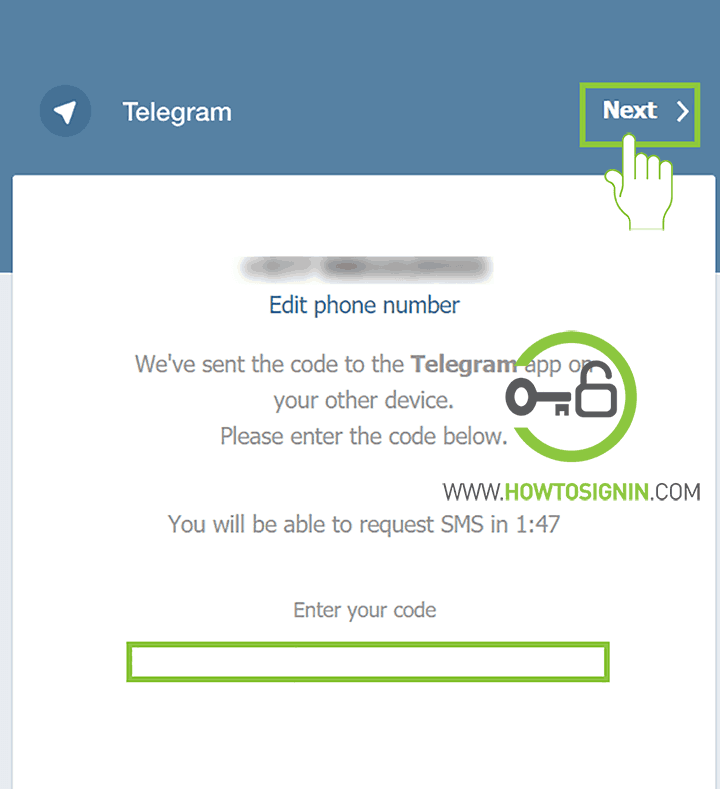 If your Telegram account is not logged in any other devices then you will receive login code on your mobile inbox. Otherwise, you will also receive login code on Telegram app on your other device. 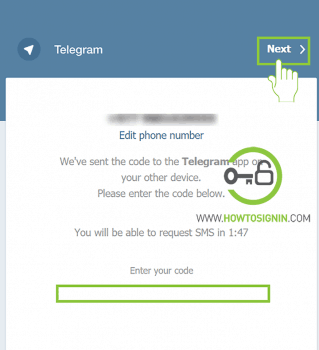 Enter the code, and the Telegram login process is complete. Users who’ve enabled cloud password, you need to enter your cloud password for Telegram as well. 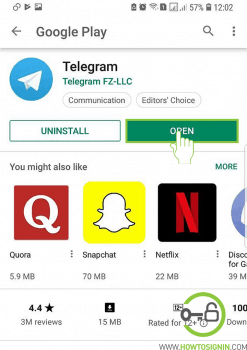 You can sign in to Telegram messenger even without downloading the app. Go to telegram.org and select Telegram web-version or directly visit web.telegram.org. Fill the phone number filed with your phone number and click Next. It will ask ‘Is this phone number correct?’ click Ok if it’s correct, otherwise, select Cancel. 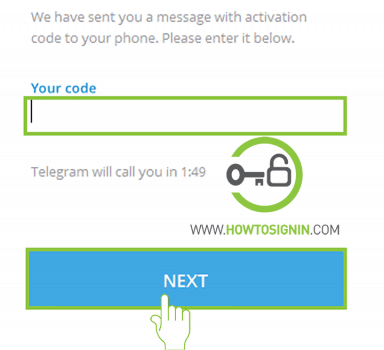 Enter the activation code you received in your telegram app and click Next. You have reached your telegram hope page. Now you can select your contact to text.